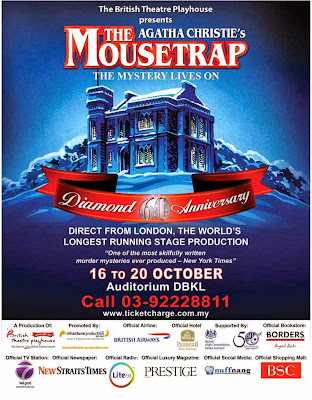 Kuala Lumpur, 18th October 2013 – Just a few days ago, our team was invited to attend the opening show of Agatha Christie’s “The Mousetrap” on 16th October 2013 at Auditorium DBKL. The opening show was also a Charity Gala Performance in the presence of YMM Tunku Ampuan Tuanku Najihah binti Tunku Besar Burhanuddin and the British High Commissioner, HE Mr. Simon Featherstone in aid of Yayasan Tunku Naquiyuddin. Prior to the show, Y.A.M Tunku Naquiyuddin Ibni Tuanku Ja’afar has given a speech to thank the British Theatre Playhouse for making the play available in Malaysia and congratulate them for their 10th anniversary of establishment. remote country guest house, cut off from the roads and from the phone. the truth - that one of them in the house is the murderer. Who is the real murderer? 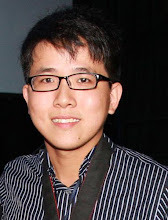 Let’s find out in Auditorium DBKL from 16th-20th October 2013. 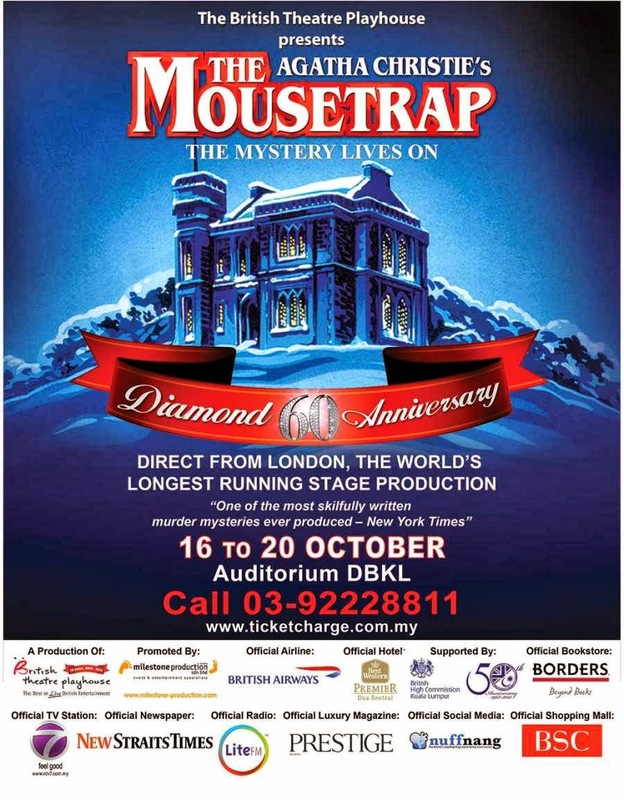 The main reason why “The Mousetrap” is one of the longest running plays ever is because its story is very mysterious and well-written. The mysteries behind the murders are intriguing. The way the plot was presented has been leading the audiences in many directions making them feel like as though they can guess the real murderer. Then, in the end, there is the “twist”, which caught everyone off guard. It was definitely a “wow” for me and my fellow colleague who have attended the show. Both of our guesses were wrong and the real identity of the murderer really surprised us. Convincing Acting That Is Truly Entertaining! Apart from having us puzzled with the mysteries, all the audiences will definitely agree that the casts have performed spectacularly with their convincing acting that could draw us all into the play. The casts Tim Wallers (as Giles Ralston) and Isla Carter (as Mollie Ralston) have performed very well that could convincingly make us believe that they are really a real couple. The other casts including Katherine Heath (as Miss Casewell), Tony Boncza (as Mr.Paravicni), John Faulkner (as Major Metcalfe), Sarah Whitlock (as Mrs. Boyle), Richard Keightley (as Christopher Wren) and Thomas Richardson (as Detective Sergeant Trotter) have also put up quite a good show throughout the play. I personally enjoyed Tony Boncza’s performance very much because the way he speaks is very fluent and natural. Richard Keightley has also done a good job in presenting a geeky yet humorous Christopher Wren on stage. Nice Set-up for Monkswell Manor!The backdrop for Monkswell Manor is very well-built giving the audiences a believable impression of how a country guest house would look like. The props are also very well placed under the sufficient lighting. For example, the radios, the sofas and other furniture inside the guest house have been well-lit making every detail viewable by the audience. Great synchronizing of Sound Effects! The sound effects used in this play has been synchronized well with every action by the characters in it. The most prominent one was when the murder was committed. The sound effect made us feel like we are actually inside the crime scene itself. Overall, it was really a great murder play and we have really enjoyed it very much. Well, we would really wish to expose more about the murderer but everyone who has attended the show is required to keep it as a secret. This is a tradition for many years and we shouldn’t break it. 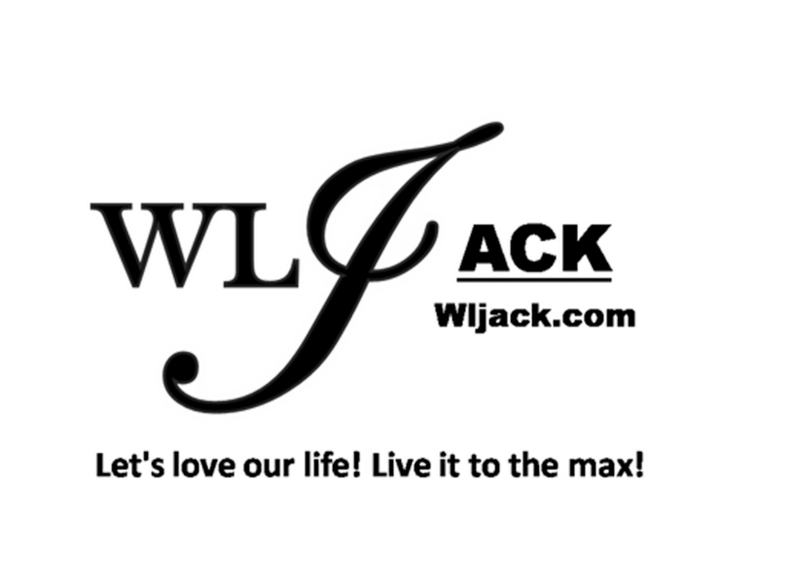 Let more people enjoy the thrill and excitement in discovering who the real murderer is! So, who’s the real identity of the murderer in “The Mousetrap”? Find out in Auditorium DBKL before it’s too late! Besides the show, a charity auction was also carried out during the interval between ACT 1 and ACT 2 of the opening show. That’s all for our coverage on Agatha Christie’s “The Mousetrap” opening show. Millions thanks to Milestone Production for the invitation.